Bangalore, April 09, 2018: Karnataka loves its watermelons and how. 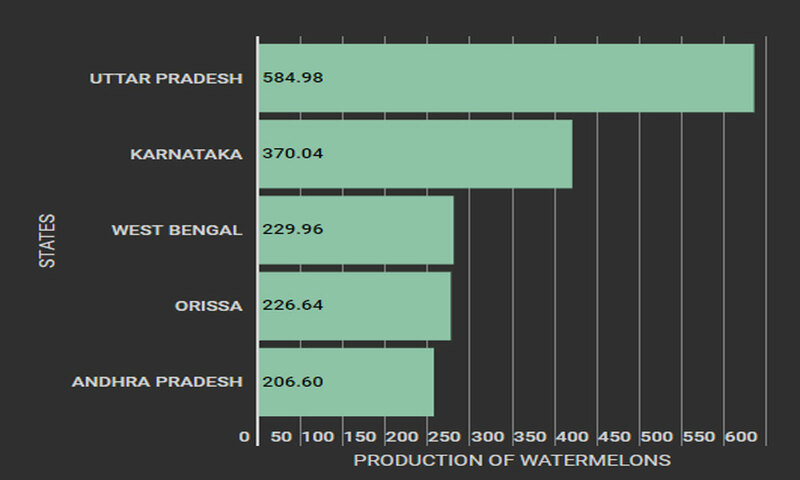 A report shows that the state has been the second largest producer of water melon since 2011-12 till 2015-16, the first being Uttar Pradesh. 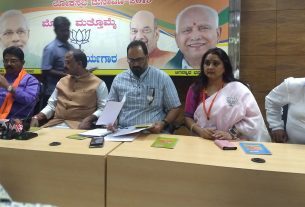 Mr. Vishwanath, the Managing Director at Horticulture Producers Cooperative Marketing and Processing Society (HOPCOMS) said that the conditions for cultivation in the state were far better than other states. He sounded confident of the state acquiring the top spot soon. He added that there has been a continuous improvement in the manner in which the fruit is produced, stating that nowadays watermelon is grown using the ‘mulching’ process either using the plastic sheet or the organic mulch. Mulching is the process by which an organic substance like straw is placed on top of the soil and one of the advantages of this process is that it cuts down the usage of water by 75 percent as it prevents water from evaporating. He added that irrigation facilities are crucial for the cultivation of the fruit and without such facilities farmers do not look forward to cultivating the fruit. He was happy with the early sales of the fruit at his shop, admitting that with summer having arrived, the demand has been good. Hari, the manager of the Food world supermarket in Sadashivnagar said that early demand for the fruit in 2018 had been good, but at present, the per kilogram price of the fruit is altering between Rs. 15 and Rs. 25. Rajesh, a roadside seller of the fruit in the Kumara Park area of the city, said that he had seen satisfactory demand for the fruit. Election time: one Party States its Goal. Bangalore bumpers: Speed breakers or axle breakers?